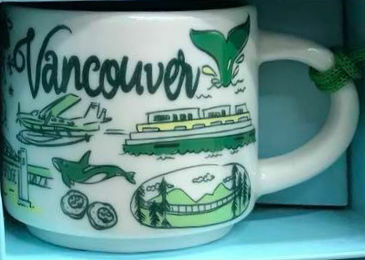 Starbucks Been There Ornament Vancouver is the forth Canadian ornament from the new series and the last so far. It is sad that no minis have been released for Provinces yet, but I still believe this will happen at some point. – Ferry – my understanding this is for ferries to Vancouver Island and other adjacent islands. – Seaplane – is the best and easiest way to explore wonders of Beautiful British Columbia.